A box of Dark chocolates selected from our award winning fine handmade ganaches and pralines. This will be predominantly a dark chocolate selection. These fresh chocolates are made with local organic cream and are best eaten within a couple of weeks of purchase. If this gift is for a specific date e.g. birthday, Christmas please let us know in the order notes at the checkout stage! 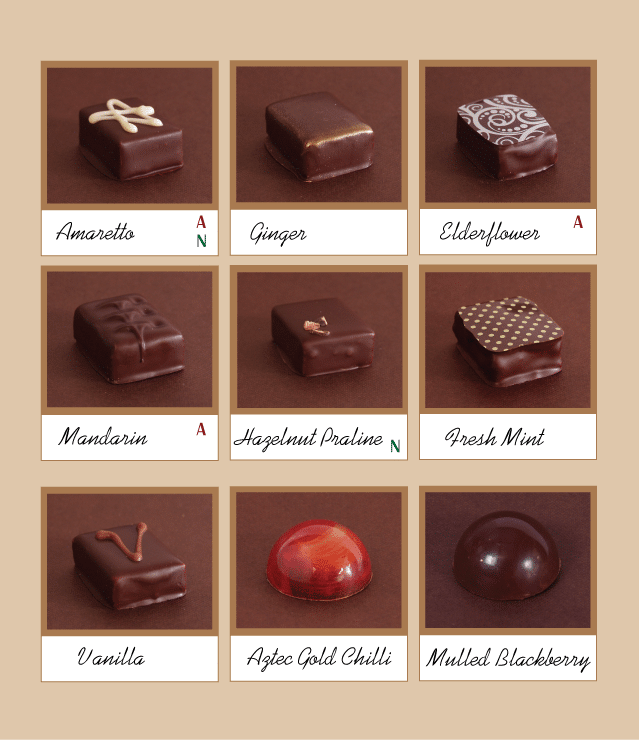 A box of Dark chocolates selected from our award winning fine handmade ganaches and pralines. This will be predominantly a dark chocolate selection though we may include some milk chocolates for larger boxes of chocolates. Our Dark chocolates use some of the finest chocolate in the world. Our house blend dark chocolate is a minimum 75% cocoa solids with hints of spice. 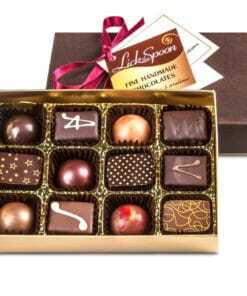 These fresh chocolates are made with local organic cream and are best eaten within a couple of weeks of purchase. If this gift is for a specific date e.g. birthday, Christmas please let us know! 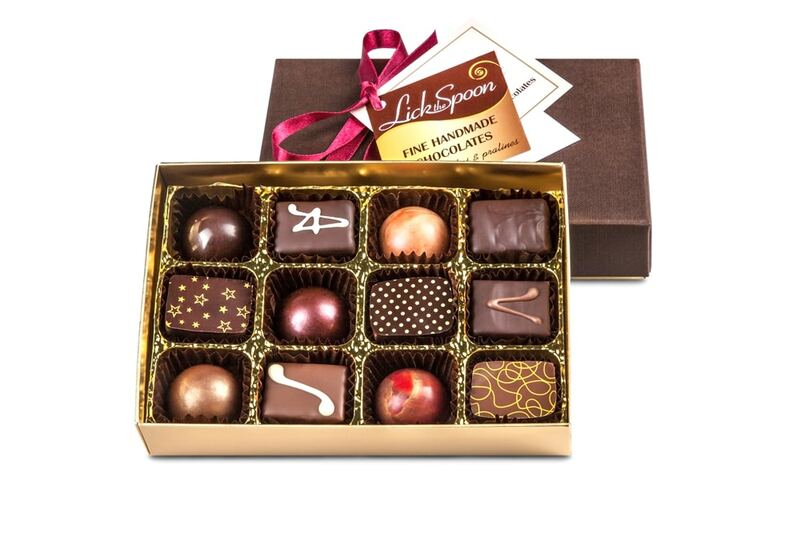 Our chocolates are made in fresh batches each week so the contents of this box varies seasonally. We put your order together from the current freshly made batches. 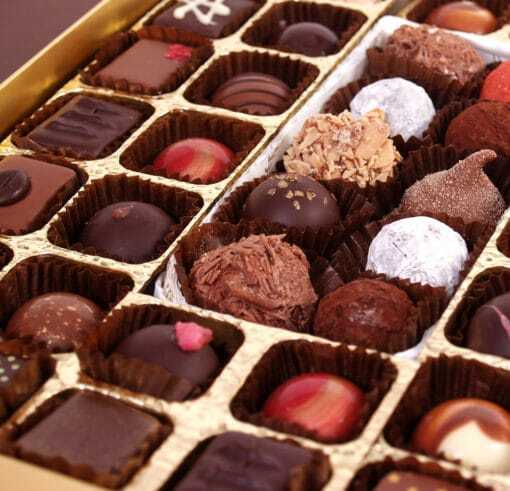 Your box will contain a brochure helping you identify each chocolate. We have listed a set of typical ingredients below and highlighted the main allergens. However it is likely that seasonal variations may contain a variation on ingredients so if you have a particular concern or allergy please contact us or tell us in the order notes. Bronde Chocolate 39% cocoa solids. Beautifully presented. A wonderful innovative selection of some of the most delicious chocolates I have ever tasted!